Welcome to the NEW Luke's Toy Store! Welcome to the NEW Luke’s Toy Store! 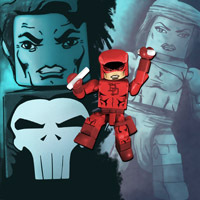 We have redesigned our web site from the ground up to continue to make LTS the best place to buy Minimates online. So why did we make this change? Like most online stores, we use an ecommerce provider for the software that runs our shopping cart, customer accounts, and other “backend” items. Our previous provider suddenly raised our costs by over 300% with very little notice. We could not continue to operate with those higher costs and still offer you the best deals on Minimates. We have spent the past few weeks evaluating other providers, finding one that was the best fit for our store and our customers, and redesigning our store to work with that system. Click the Read More link below to see the new improvements that we have made. A video of a typical day here when new Minimates arrive, mostly starring our two little helpers. This video could apply to any week, but this time it was the Mass Effect Minimates Box Set, the Gotham Minimates Series 2 Box Set, the Back to the Figure 1985 Box Set, and some Vinimates. Click the Read More link below to see the video.